If you want to dress right and feel good, fluidity is good. Margarita Mej�a designs accordingly. Her fashion creations enhance everyday gestures and natural body movements. She calls this approach �dressing the gesture�. Margarita M. knows that silk is your friend. It�s light, smooth and harmonizes with your every movement. It also looks like a million dollars. 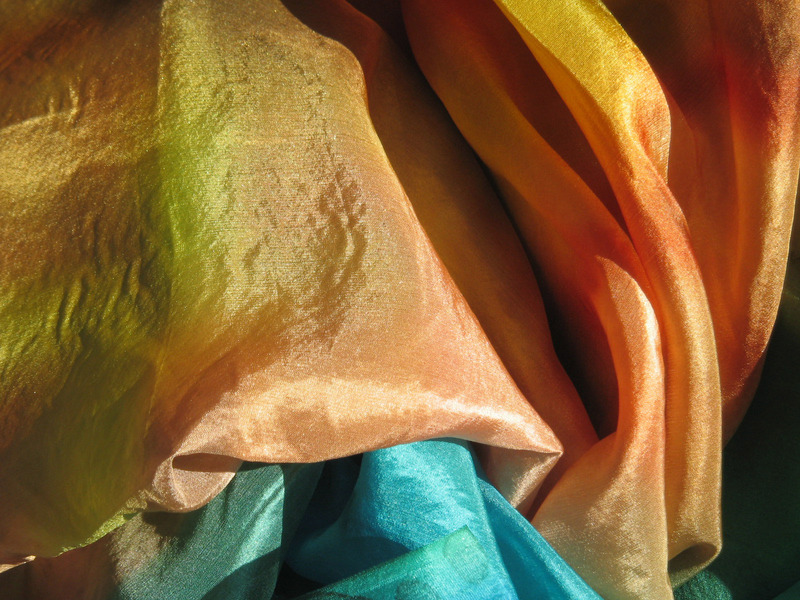 Margarita M.�s vividly colored silk creations, each one an original, are both striking and elegantly understated. Over the past few years Margarita M. has launched several innovative lines, including the Silk Road and the Bubbles collections. Recently she launched her line of light, compact and plush silk �mushroom� handbags. Margarita is Colombian. She has travelled extensively throughout Latin America, the United States and Europe. These past few years she�s been based in Holland. Margarita Mej�a is active in The Netherlands on behalf of the New York-based Fashion Group International. Previously she was the group�s regional director in Colombia. At the same time she was thesis director of the Fine Arts� fashion section in Bogota�s Andes University. During that time she also helped create original costumes for various local theatrical productions. She completed studies at the ESMOD in Paris, the world�s oldest fashion school. Before that she obtained a degree in textile design from the Andes University.